With only one day until free agency, the pieces are starting to fall into place. It’s coming down the wire and players are using teams as leverage, making their final visits and creating backup plans in the event their first choices are not an option come July 1. Marleau and Thornton Playing Hardball? There are a few sources out there that believe the San Jose Sharks are going to lose both Patrick Marleau and Joe Thornton. The belief is that the Kings are making a strong play for Thornton and that they have also reached out to Justin Williams. While the Rangers, Blues, Predators, Penguins and Maple Leafs may also be kicking tires, the Kings seems to be the primary aggressors. Others think that Thornton may just be using the interest from the Kings to get a better deal in San Jose where his preference is to stay. At this point, it appears to be somewhat of a cat and mouse game between the Sharks and Thornton. The Sharks don’t want to overpay for the aging center and Thorton wants the best deal but doesn’t want to leave. And again, the decision of Marleau will affect what Thornton does. I think if Marleau re-signs in SJ, so does Thornton…. Marleau has garnered interest from a few teams but his preference is also to stay in San Jose. 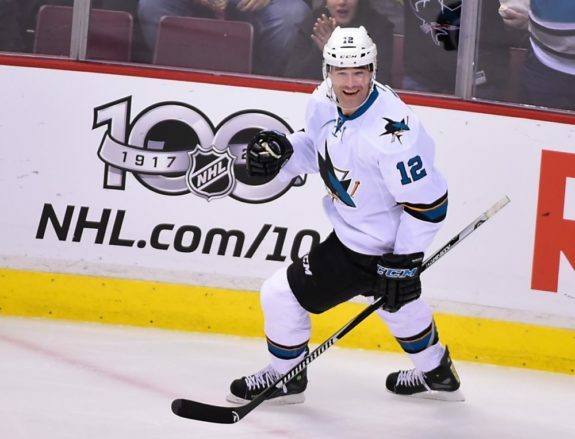 Reports are that the Ducks, Predators, Maple Leafs and Flames may have reached out to Marleau’s camp. For Marleau, his situation is a bit tricky. He’s actually remained one of the more productive left-wingers in the NHL and could earn a two-year deal from a team that needs scoring punch. He’ll have options and if he stays in San Jose will likely be leaving money on the table. Talk for Kevin Shattenkirk has started to shift away from the New York Rangers and over to the New Jersey Devils who may be willing to put the biggest package together for the defenseman. Expect Devils to be among most serious and aggressive bidders for Shattenkirk. This is a major shift from where the Rangers were believed to be the number one option for Shattenkirk, but now appear to be taking a softer approach to free agency than in years past. Shattenkirk is going to be one of the larger free agent ticket signings out there and the Rangers don’t want to get caught overpaying. The Devils have been busy in other ways too. Friday they waived Mike Cammalleri and Devante Smith-Pelley and there is word that come July 1, they may work out a deal with Ilya Kovalchuk on a sign-and-trade to bring him back to the NHL. 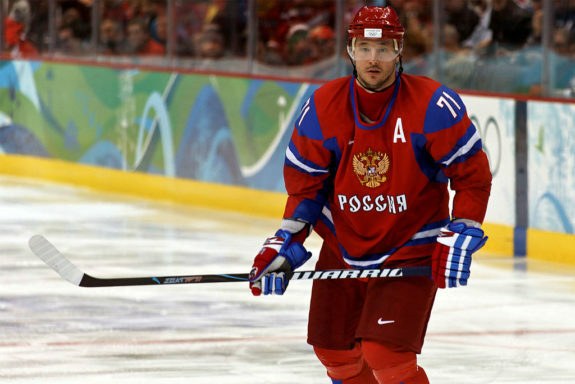 It appears that Ilya Kovalchuk has not ruled out continuing his career in the KHL and is meeting with SKA St. Petersburg about a possible deal. Speculation is that the Columbus Blue Jackets might be keenly interested in Kovalchuk and that partnering him with Artemi Panarin is high on their priority list. That the Jackets freed up cap space by starting the process of a buyout on Scott Hartnell suggests they may be making a play for a larger ticket item.